1 Hour Belly Blast Diet Review (2019) - Cheat 3x a Week? 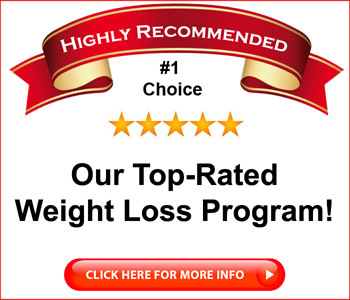 1 Hour Belly Blast Diet is sold as a series of downloadable ebooks in PDF format. This is good for a couple of reasons: You can download the books immediately after purchase, regardless of the time of day, and the books are portable. You can read a PDF book on pretty much any device that can be described as a computer, including your tablet or smartphone. You can also print them out if you like for easy reference. The main 1 Hour Belly Blast Diet book, at 66 pages, covers the diet program itself, along with offering an explanation for why you’ll be doing what you’re doing and eating what you’re eating. I found that book to be a bit confusing, especially since they’ve got a lot of terminology in there that they seem to have coined themselves, such as Diet Induced Thermogenesis, Thermic Meal Timing, Strategic Carb Burning, and Anti-Overwhelm Relief™. Despite the Anti-Overwhelming™ promise, the 1 Hour Belly Blast Diet book can be a bit overwhelming as you’re reading about leptin receptors and Thermic Burn, along with a lengthy intro about author Dan Long and his wife and family. Fortunately, the Quick Start Guide is essentially the same book at half the length, with all of the fluff removed. What’s left is what you actually need to do. The author recommends that you read the full book once and then refer to the Quick Start guide after that. That’s probably sound advice. With the Quick Start Guide and the Exercise Manual, you’ll be ready to get started. For the most part, you’re going to be eating a diet that involves low to moderate carb consumption. You will exercise a minimum of 3 days per week for a minimum of 20 minutes per session. That means you’ll be exercising at least 1 hour per week. You are free to do more, but that’s the bare minimum. You will have 3 sessions per week where you can eat whatever you like, within reason. Note that the times when you can eat whatever you like, which the author calls “Overfeed Sessions,” are just that – sessions. This is not a diet like some I’ve reviewed, where you have “cheat days” where you can eat whatever you like. These are sessions, generally one hour in duration, where you can eat what you like provided that you have engaged in an exercise session no more than 90 minutes prior to eating. You have to exercise three times per week. Your reward is a short period of time where you can eat what you like. The author says that this isn’t really a reward; your body will lose weight faster if you do things this way. The rest of the week, you’ll be engaging in a low to moderate carb diet. There aren’t any meal plans included with the 1 Hour Belly Blast Diet, but you do get recipes for low carb breakfast smoothies that look to be pretty tasty, especially the ones called Dreamy Rice Pudding Smoothie™ and Baklava for Breakfast Smoothie™. For other meals, you get a list of suggestions, along with a list of “approved” foods, listed by food group – protein, fat, vegetables, carbs, etc. 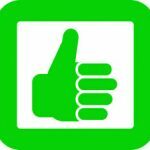 Approved vegetables can be consumed without limit at any time of day. The 1 Hour Belly Blast Diet exercise book is pretty straightforward, and the exercises are divided into two groups – those that are “bodyweight” exercises that require no equipment, and those that do require additional equipment. In the latter case, you’ll need a stability ball, a set of dumbells and a weight bench. The exercises and regimen are explained thoroughly and accompanied by a number of photos of Dan performing the exercises. As I’ve previously mentioned, you’ll only need to exercise a minimum of one hour per week. The overall 1 Hour Belly Blast Diet consists of low carb days and training days, and you get those three “overfeed” sessions each week. 1 Hour Belly Blast Diet does include a recommended schedule for when to have those exercise days and those low carb days, but there is some flexibility built in. You can spread those overfeed days over three different days, two days, or even just one, if you like. There’s a lengthy FAQ section that covers this in detail. 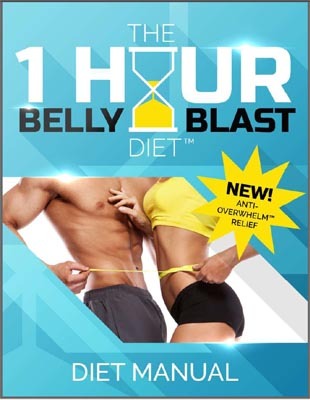 While the 1 Hour Belly Blast Diet book itself is a bit difficult to read, the Quick Start Guide tells you all you need to know and is easy to follow. If you follow this plan and exercise regularly as suggested, you should see good results. If you’re looking for a diet that won’t require you to eat a lot of odd foods, or work out seven days a week, the 1 Hour Belly Blast Diet plan may be a good fit for you. The nutritional information seems solid and the exercises regimen is both easy to do and not too strenuous. 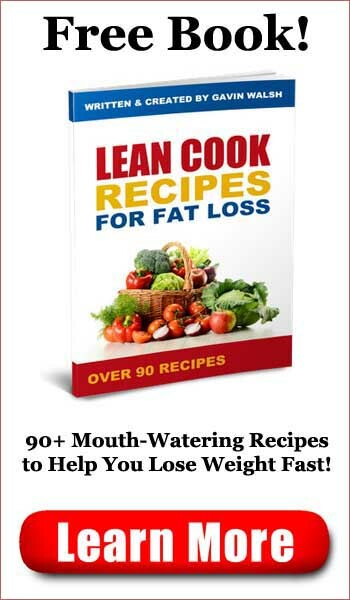 If you do as the author recommends and follow the diet plan to the letter, you’ll likely see good results. 1 Hour Belly Blast Diet is recommended.